Wind turbines are starting to appear on the skyline in many areas of the country but what do you know about them and what is the truth about them amongst all the stories? What Are the Environmental Impacts of Wind Turbines? Traditionally, the UK has relied heavily on fossil fuels as part of its energy mix but wind turbines are much more friendly to the environment than their carbon-emitting counterparts. However, you need to consider the impacts on the area around the wind turbines including the wildlife. The siting of wind turbines has a big impact on how much they will affect the area and the wildlife. Steps have been taken to reduce this impact through planning considerations and additional monitoring requirements as well as technological advancements making improvements. Conservation groups have concerns that wind turbines can cause deaths of birds and bats but studies on established wind farms have seen little impact on them. There is more research happening to investigate the impact on wildlife that will shed more light on this. Wind turbines have advanced since their earlier designs and they now produce much lower noise levels. The level of noise produced by the wind turbine is often mitigated by the noise of the wind and because the wind turbines only make a noise when they turn then the noise impact is minimal. Again, the siting of wind turbines can affect the noise impacts on the neighbouring area which is why planning requires wind farm developers to address any issues and demonstrate that the impact is at an acceptable level. A study by Salford University found that across all the wind turbine sites in the UK there were very low levels of complaints about noise and only one incident that was upheld which was subsequently rectified. During the design phase of a wind farm, the developer should identify any potential interference that the wind farm could cause electromagnetic transmissions. 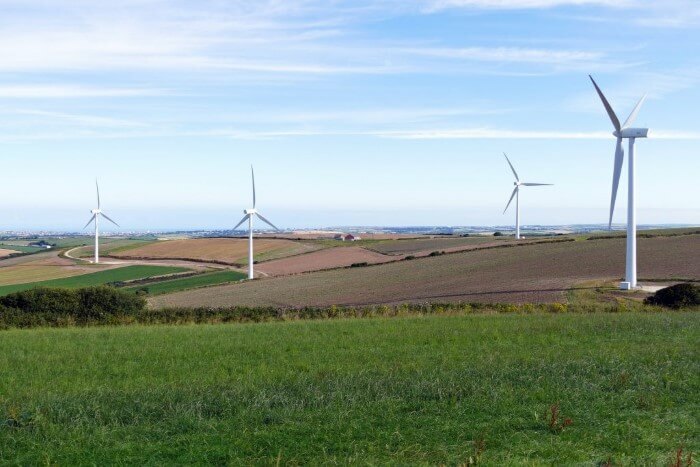 These findings will influence the feasibility of the wind farm and the planning consent. The strength of the TV and radio signals and the location of the transmitters are important factors when assessing the impact, so computerised modeling tools are used to predict the impact based on the terrain and signal strength. Mobile phone signals are not impacted by wind turbines as they operate on multiple cellular transitions and therefore a potential inference caused to a cellular signal would result in it being switched to another. Do Wind Turbines Affect House Prices? There have been studies in the UK and USA regarding the impact that wind turbines have on the price of the houses around them and they have found no evidence that suggests that it reduces house prices. Why Do Wind Turbines Not Turn? There are several reasons why wind turbines can stand still which include too little or too much wind, maintenance, or fault on the turbine. Large-scale wind turbines require wind speeds over 13mph (21 kph)for them to start turning. The level of wind that would result in a large wind turbine been stopped for safety reasons would have to be very strong winds that are not that common in the UK as the turbines can operate in winds up to 100mph (160 kph). On average wind turbines produce electricity 70-85% of the time. However, the weather conditions could be ideal, and the turbines could be in good working order and they can still be still as the grid is unable to accept the electricity that they can generate. The National Grid is responsible for ensuring that there is the right amount of electricity in the grid to meet demand and that the grid is not overloaded. If there are excessive amounts of electricity being produced, especially from renewable energy sources, then the wind turbines may be switched off to prevent overloading the grid. This can seem unfair and counter-productive, but wind turbines can be switched off easily whereas power stations can take hours to power down and reduce their output. The issue here is not the wind turbines but the ageing grid system that is unable to store electricity effectively and not smart enough to manage its requirements better. Are Domestic Wind Turbines Viable? Small-scale wind turbines that can be mounted on to a house or sited in a garden are likely to produce low levels of electricity and will be less exposed to wind. Mounted wind turbines often have issues with movement and vibration which make them undesirable when combined with the amount of electricity generated. Small turbines suitable for gardens will struggle to get sufficient wind due to neighbouring buildings preventing them getting the maximum wind exposure. What Are the Disadvanatges of Wind Turbines? The biggest challenge that faces the wider adoption of wind turbines is the intermittency of the electricity generated from them. As storage solutions for electricity are not currently feasible on the scale required their intermittency makes them a less desirable option as a wider scale energy generation source. Advancements in energy storage are currently progressing and a solution is probably only five to ten years away which will change the way that wind energy is viewed within the electricity mix. There was a view that backup capacity was needed to support the renewable energy capacity in the electricity mix, but studies have found that adding significant levels of renewable energy to the grid has not altered the grid’s reliability. Also, given that the weather can be predicted the National Grid is able to foresee when wind turbines will be generating electricity and at what level. Do Wind Turbines Have Advantages Against Other Technologies? Wind turbines have become more economically viable over the last decade with prices declining so much that they are becoming a viable option without government subsidy. In the second Contracts for Difference auction in 2017, there were three offshore wind projects that were awarded contracts that had significantly lower strike prices that made them close to not needing a subsidy. In the same auction, onshore wind projects were precluded from the auction because they were now deemed viable without subsidy. The subsidies that wind farms can receive is either a guaranteed top-up amount or price per MWh of electricity produced that gives the developer and investors in the wind farm the security that the project will get a return on its investment which ensures that projects are developed. There are no subsidies to help build the wind farms or financing to assist them from the government. The subsidies are provided to enable renewable and low-carbon projects to happen so that they can help reduce the carbon impact of UK energy.